Danilo Lopez has shown courage and determination of spirit in his fight for immigrants’ rights in Vermont and across the country. His story is a battle cry for all to stand up against injustice, to organize, and to change legislation. While he was working as a migrant farmworker in Vermont in 2011, Danilo Lopez was a passenger in a car that was pulled over by a Vermont State Police officer. He was asked to show papers and could not produce any so Lopez was taken to Immigration and Customs Enforcement (ICE), where he was detained. It was then that Migrant Justice, an advocacy group for immigrants in the Burlington area, joined his cause and together they began their fight for him to stay in the United States. He won this fight and since then has been a committed organizer of the group which has before and since worked tirelessly to change legislation. “Danilo organized with his community to fight for a new policy for police. We won. 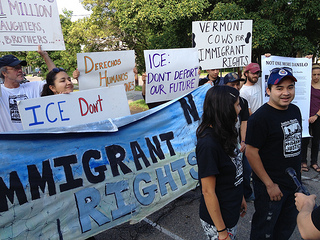 Vermont state police cannot use resources [like ICE] for immigration enforcement” (Migrant Justice, 2013). In January 2013 Governor Shumlin signed into law a bill that allows immigrants to receive a driver’s privilege card, giving them a feeling of security while not having to fear the police and possible deportation for driving infractions. Just as Danilo was celebrating this win with Migrant Justice and all of the community members, family, friends, and people affected by this law, Danilo was informed that he would be facing deportation on July 5, 2013. Again, organizers, Migrant Justice, and Danilo Lopez took to the streets and to ICE itself to protest his pending deportation. This is a fight that affects thousands of people across the United States. It’s being waged on behalf of families, loved ones, and community members who are a segment of the population that is treated as though none of these things matter, as though they are less than human. As Danilo has shown, he is committed to the mission of Migrant Justice “to organize for social and economic justice and human rights.” Their work involves immigrant rights, agricultural justice, migrant media, and community education. There is always a need for more resources to reach more people for the cause and to offer the kind of services Migrant Justice strives to provide to their clients and the public. 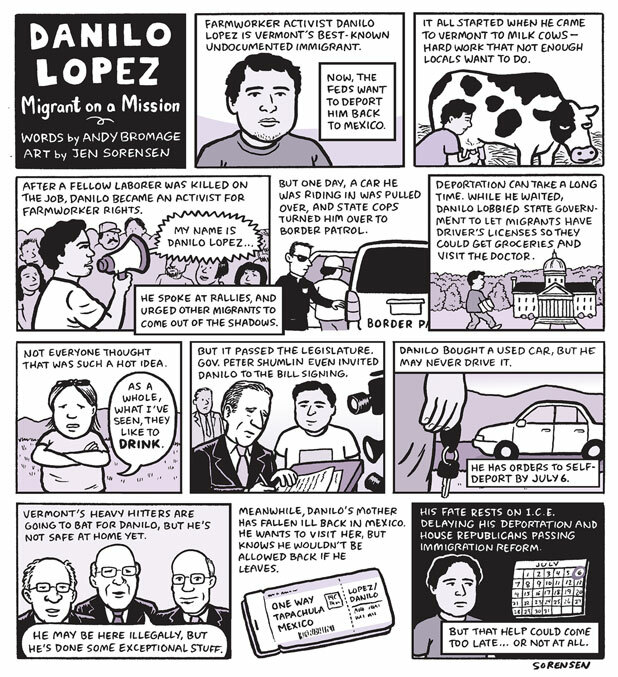 Let us stand up with Danilo Lopez and his work for social justice. Let us stand with the working immigrants who help us each and every day by doing the hardest jobs in America. Danilo Lopez fights for social justice and leads for migrant workers, not just in the state of Vermont but across the nation. “This is more than just fighting my deportation; this is about setting an example that we can come together with the national movement to end deportations and fight for our rights” (Lopez, 2013). 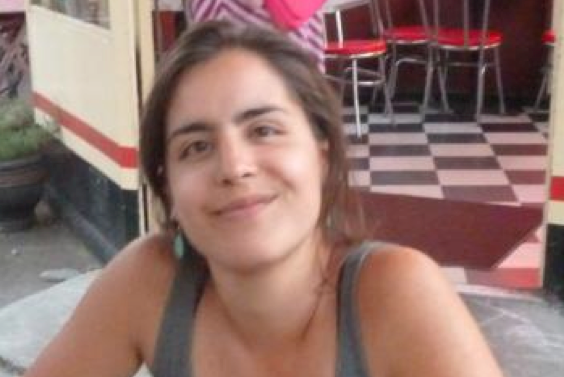 Alicia Keesler is from Washington D.C., and currently resides in Burlington. She is hoping to study social work and combine her love of nature and agriculture to explore horticultural therapy. This entry was tagged Danilo Lopez, deportation, driver's privilege card, farmworkers, immigrants, Immigration and Customs Enforcement (ICE), Migrant Justice, migrant workers, social justice, Vermont State Police. Bookmark the permalink.